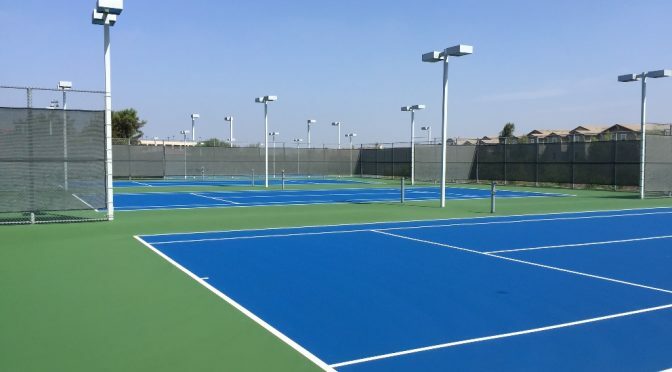 Are you looking for free estimates on tennis court repair, resurfacing, or construction in Los Angeles? We can help.. SportMaster is a leading brand of acrylic tennis court surfaces and repair products. 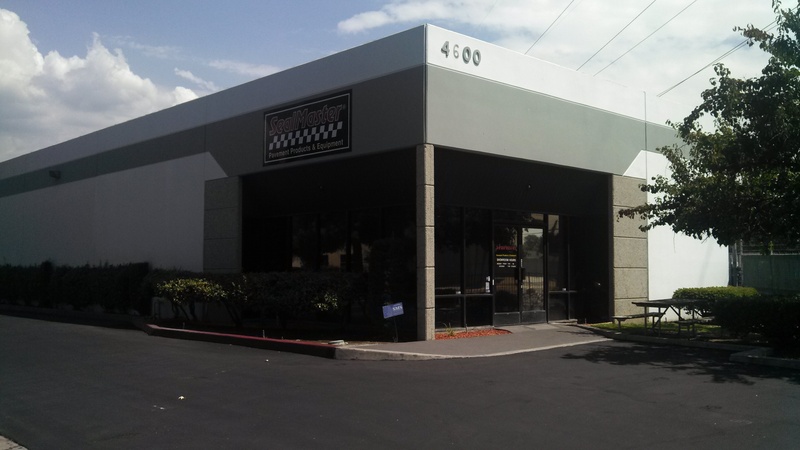 We have multiple stocking locations in Southern California and local representatives that can provide a free scope of repair, and quality tennis court contractor referrals. Concrete should cure for 28 days before coating and have a slope of 1% for proper drainage. No curing compounds shall be used on the concrete and it is highly recommended to have a vapor barrier and good perimeter drainage system. It is also important to have a medium-broom finish for good physical adhesion of coatings. Acid etch to neutralize alkalinity of concrete surface and provide good chemical bond of coatings. Wash thoroughly with clean water, then apply 1 coat of SportMaster Acrylic Adhesion Promoter. Apply two coats (minimum) of the SportMaster ColorPlus system. This consists of 2 coats of “tennis court paint”, fully pigmented and mixed with sand and proper dilution. Stripe with SportMaster Stripe-Rite Line Primer & Textured White Line Paint. The tennis court repair and resurfacing process can be very difficult and is not recommended at the “DIY” level. It takes a lot of training and practice to repair and level surface repairs without affecting the slope of the court and potentially leaving a larger puddle or pond. 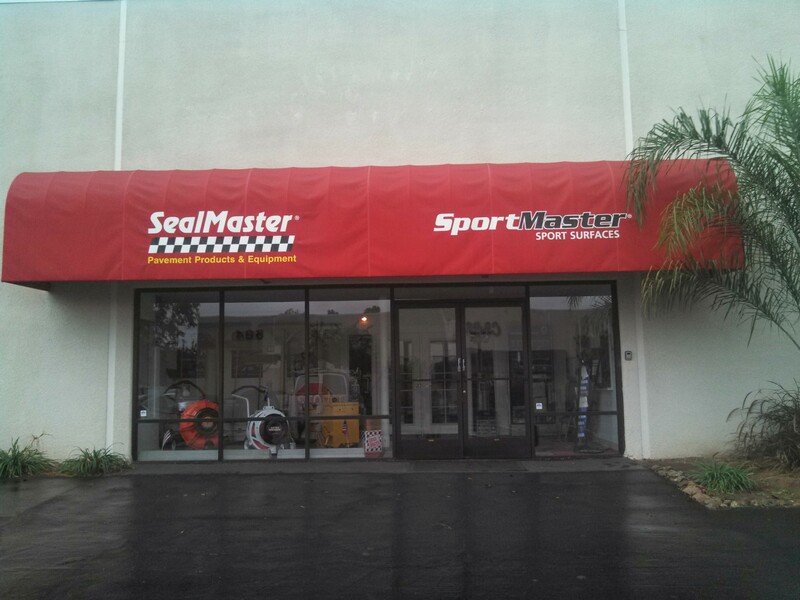 Contact your local SportMaster representative at any of our Los Angeles or Southern California locations, and they can provide great local contractor referrals that can visit your site and give free estimates.